Keykode (not keycode) is an addressing system for motion picture film. It is recorded as barcode on the edge of the film. It contains the film manufacturer ID, batch and roll number and footage counter. Keykode allows precise location of any frame of film for purposes of negative cutting, scanning or telecine transfer. Keykode metadata is typically stored in digital film scans so every frame of film can be traced back to the negative. 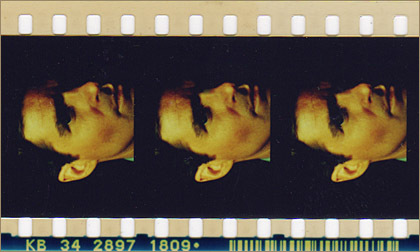 Telecine transfer to tape can also generate files which link the newly created tapes to their respective film negatives.